Meet your friends for a delicious Holiday Market luncheon and shop our selection of antiques, jewelry, glassware, small pieces of furniture, artwork, collectibles, holiday decor, CDs and DVDs, all in new or nearly new condition. Homemade dried food mixes, jams, jellies and condiments in holiday decorated jars are available also! 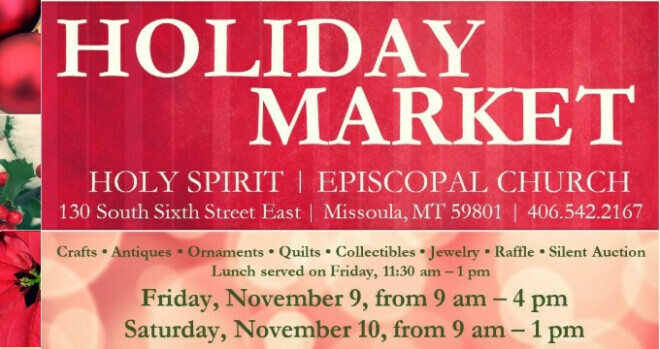 Holiday Market open 9 a.m. - 4 p.m. Lunch served 11:30 a.m.-1 p.m.